Description: The Academy of Breastfeeding Medicine is a worldwide organization of physicians dedicated to the promotion, protection and support of breastfeeding and human lactation. Resources available online: clinical protocols developed by the Academy. Description: The BFHI is a global programme of UNICEF and WHO which works with the health services to improve practice so that parents are enabled and supported to make informed choices about how they feed and care for their babies. Information about the global programme can be found on the UNICEF website. Resources available online: information sheets and leaflets; reviews; the newsletter “Baby Friendly News”; information for parents; information about the UK Baby Friendly programme, including statistics. Description: Baby Milk Action is a non-profit organisation which aims to save lives and to end the avoidable suffering caused by inappropriate infant feeding. Resources available online: briefing papers; policy papers; the “Update” and “Boycott News” newsletters; broadcasts, etc. Description: Breastfeeding Basics is an academic, non-commercial, short course on the fundamentals of breastfeeding. It is geared primarily for the medical practitioner, although anyone is welcome to browse or take the course. The course was produced by Mary E. O’Connor MD, MPH, and funded by the Northern Ohio chapter of the March of Dimes and The University Center for Innovation in Teaching and Education of Case Western Reserve University, USA. Resources available online: information relating to 1. Breastfeeding benefits and barriers, 2. Anatomy and physiology, 3. Growth and development, 4. Breastfeeding around the world, 5. 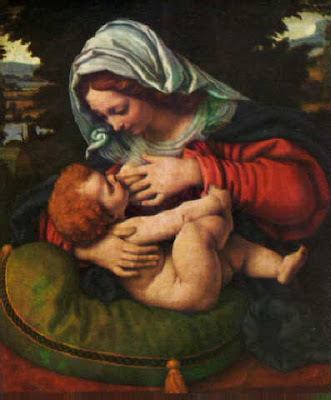 The breastfeeding couple, 6. The term infant with problems, 7. 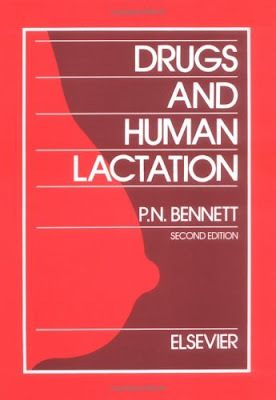 Breast milk and drugs. Description: Breastfeeding Promotion Network of India is a national network of organizations and individuals dedicated to promote mother and child health through protection, promotion and support of breastfeeding. Resources available online: information sheets; technical papers and reports; the BPNI Bulletin; updates. Description: The Human Milk Banking Association of North America is a multidisciplinary group of health care providers that promotes, protects, and supports donor milk banking. Resources available online: information relating to donor milk and milk banks; HMBANA position papers; the current issue of the HMBANA newsletter. Description: The International Baby-Food Action Network (IBFAN) consists of public interest groups working around the world to reduce infant and young child morbidity and mortality. Resources available online: pamphlets; briefing papers; IBFAN reports; charts; “Breastfeeding Briefs” newsletter; information about IBFAN activities and areas of interest. Description: The Infant Feeding Action Coalition (INFACT) Canada is a non-governmental, non-profit organization consisting of individuals and groups working to improve the health and well-being of infants and young children through the protection, promotion and support of breastfeeding. Resources available online: the INFACT Canada newsletter; fact sheets; information about issues and action. Description: This is a UNICEF article on infant and young child feeding and care. It looks at supporting and promoting breastfeeding, including topics such as the Baby-friendly Hospital Initiative, the International Code of Marketing of Breastmilk Substitutes, and infant feeding and HIV. Resources available online: The site also includes links to a video and related UNICEF articles, publications, expert opinions, and fact sheets, etc. Description: ILCA, a non-governmental organisation, is the professional organization for International Board Certified Lactation Consultants, and those who aspire to be. Resources available online: ICLA position papers; guidelines; independent study modules; sample articles; news (additional resources and services are available to members of the ILCA). Description: The International Society for Research in Human Milk and Lactation is a nonprofit organization dedicated to the promotion of excellence in research and the dissemination of research findings in the field of human milk and lactation. Resources available online: bi-monthly bibliographies of ISRHML publications (mainly journal articles), arranged by subject; a list of monographs published by the ISRHML; details of ISRHML meetings. Description: La Leche League International is a non-governmental organisation which aims to help mothers worldwide to breastfeed through mother-to-mother support, education, information, and encouragement and to promote a better understanding of breastfeeding as an important element in the healthy development of the baby and mother. Free registration is required to view this database. Description: LINKAGES is a USAID-funded program providing technical information, assistance, and training to organizations on breastfeeding, related complementary feeding and maternal dietary practices, and the lactational amenorrhea method – a modern postpartum method of contraception for women who breastfeed. Resources available online: training materials; guidelines; reports; fact sheets; information about Linkages activities, etc. Description: MIDIRS is an educational charity, which disseminates information relating to childbirth and infancy with the aim of assisting the improvement of maternity care. Resources available online: free resources include online news items relating to childbirth and infancy, including breast feeding; links to breastfeeding organisation websites; a diary of events in the UK; a searchable discussion board; and an online shop. Other services, which require a paid subscription, include the MIDIRS database of over 100,000 journal articles; the quarterly MIDIRS Midwifery Digest; an e-mail alerting service and an enquiry service. Description: This is a personal web page containing links to publications authored, or co-authored, by Ted Greiner, a research advisor and teacher at the International Maternal and Child Health Section of the Department of Women’s and Children’s Health, Uppsala University Medical School. Resources available online: articles; papers; letters; images, etc. Description: This website provides information about breastfeeding, including the Baby-friendly Hospital Initiative, the International Code of Marketing of Breastmilk Substitutes, maternity protection, maternal nutrition, complementary feeding, and HIV and infant feeding. Resource available online: links to the full text of relevant UNICEF publications; a message board. Description: Wellstart International aims to advance the knowledge, skills, and ability of health care providers regarding the promotion, protection, and support of optimal infant and maternal health and nutrition from conception through the completion of weaning. 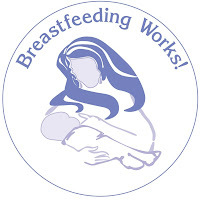 Resources available online: a bibliography of breastfeeding resources, with links where appropriate; information relating to the work of Wellstart International. Description: The Department of Child and Adolescent Health and Development aims to promote and improve infant and young child feeding through activities such as producing technical information, developing feeding recommendations, supporting research and designing training materials. Resources available online: information and online documents relating to the Global Strategy for Infant and Young Child Feeding, exclusive breastfeeding, complementary feeding, feeding in exceptionally difficult circumstances, and HIV and infant feeding. Description: WABA is a global network of organizations and individuals who believe breastfeeding is the right of all children and mothers and who dedicate themselves to protect, promote and support this right. Resources available online: fact sheets; reports; articles; declarations; activity sheets; the WABALink newsletter; a “Maternity Protection Campaign (MPC) Kit”; news, etc. www.prairienet.org/laleche/booklist2.html “Saturday With Mez: A day in the life of a breastfeeding toddler”. The book features 28 pages of high quality black and white photos and follows around a seventeen month old breastfeeding toddler on one of his typical days. It’s an independently published book maufactured in the USA. The entire book can be viewed on my website. Copyright © 2009, Indonesia Breastfeeding Network Information Education Network. All rights reserved. Senang ada informasi lengkap dan bagus mengenai ASI untuk ibu-ibu di Indonesia. Saya bertempat tinggal di luar negeri, dan di tempat saya, pemberian ASI ke anak sangat ditekankan. Jadi saya berkali-kali menyemangati teman dan keluarga di Indonesia untuk memberikan ASI ke anak2nya. Tapi sayang, mereka sering menyerah dan langsung beralih ke susu formula karena mereka bilang tidak ada informasi yang jelas & bagus untuk men support pemberian ASI di Indonesia. Setelah saya mendapatkan website ini, saya langsung merekomendasikannya ke teman dan keluarga di Indonesia. Terima kasih atas semua informasi bagus di website ini.